NKTECH NK-600A/1000A/1200A/1500A rangefinder is designed for measuring distance, speed, angular and height. It provides the true measurement accurate within +/- 1M, you\'ll get to know the information to the target without taking a single step forward. With the compact design and long standby battery, you can easily bring it everywhere and use it when needed. It\'s measurement locking function will amaze you. 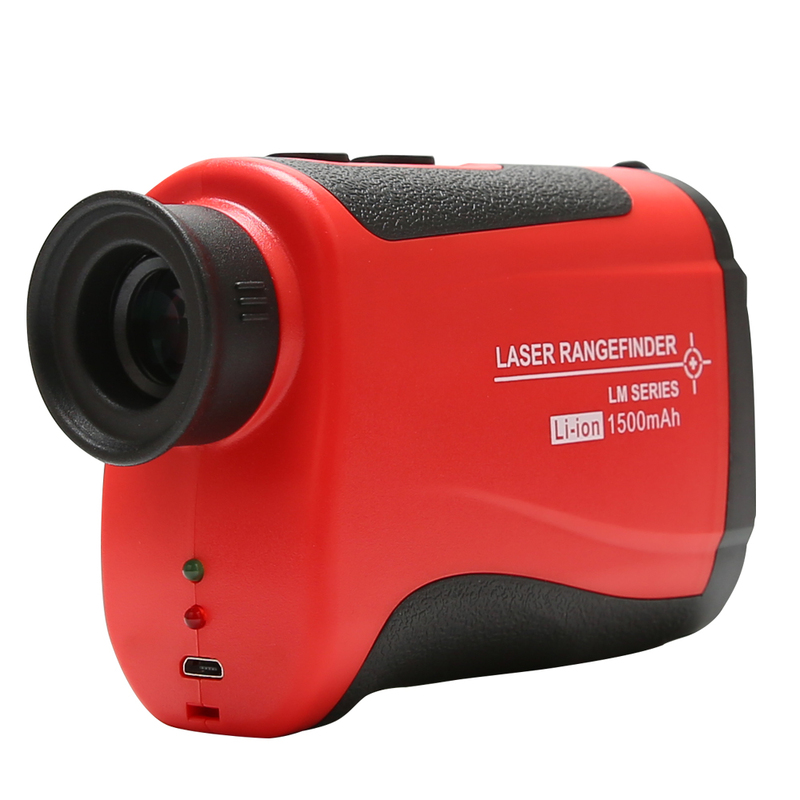 Laser Rangefinder: with four different scanning modes, measure distance (3-600m/3-1000/3-1200m/3-1500m), angular and height . High Accuracy: quickly and accurately measure distant subjects, perfect for measuring golf flags (yard or meter). Lens Display: display the measurements and battery meter, ultra clear, easy to read. IP-54 Waterproof: prevent your rangefinder from the harassment by the rain. Easy to Carry: only 197g, durable body, perfect for carrying when you\'re going outside. Wide Use: for electrical equipment installation, highway engineering, municipal engineering, sniper aiming and various outdoor measuring. Weather, target size, surface shape may have an impact on the maximum range. Help you improve the efficiency of outdoor work, measuring the target distance. Measuring distance: 3 to 600m (NK-600A), 3 to 1000m (NK-1000A), 3 to 1200m (NK-1200A), 3 to 1500m (NK-1500A). Distance measuring error: +/- 1m. Measuring speed: 0 to 300Km/Hours, accuracy: +/- 5Km/Hours. Angular measuring range: +/- 90 degree, accuracy: +/- 3 Degree. Field of view: 7 Degree. Diopter regulation range: +/- 3 diopters. Laser Class: 905nm, <1mW, Class 2. Power supply: Built-in 750mAh Li-ion battery (Included). Battery lifespan: 30000 times with full charged. Size: 104 x 41 x 76.5mm. 1 x NKTECH Laser Rangefinder. 1 x 750mAh Li-ion Battery.